Seven Hills Massage Therapy provides an upmarket relaxation massage experience. Asian masseuses selected for their skills and grace provide a premium service to pamper and rejuvenate the tired and jaded mind and body. A shower with soft towels provide more comforts than most establishments in Sydney's West / Hills District. Are you looking for a good strong oil massage at a great price? Seven Hills Massage is positioned over the bridge from the main Seven Hills commercial area with parking at the door (1 hr), or at rear (unlimited). Directions: Just a few minutes to the north of Seven Hills Railway Station on the northern side of Prospect Highway. Nestled in a group of shops with good parking. Speciality: Asian masseuses offering relaxation or therapeutic traditional Oil Massage. 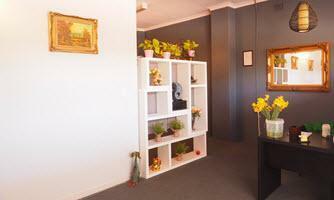 A superior massage experience in a very comfortable Western Sydney clinic. Parking: 1 hr parking at door, unlimited at rear of building in Bassell Lane. Public Transport: 4 minutes to railway station, similar to bus routes on Prospect Highway. Public Holidays: Open all public holidays except Christmas Day and New Years Day. 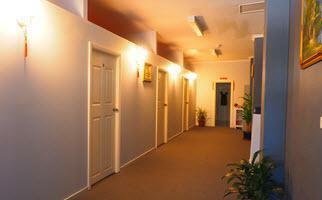 Premises A beautifully appointed massage clinic with shower, spacious room and stylish decor. 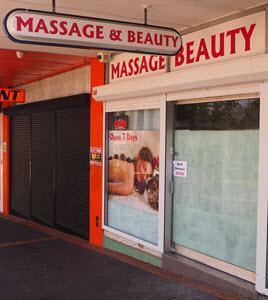 This qualifies for the Asian Massage Sydney 'Upmarket' category. Looking for the best in Asian relaxation massage in Seven Hills, Toongabbie, Blacktown, Lalor Park, Kings Langley? Call (02) 8664 1827 now!